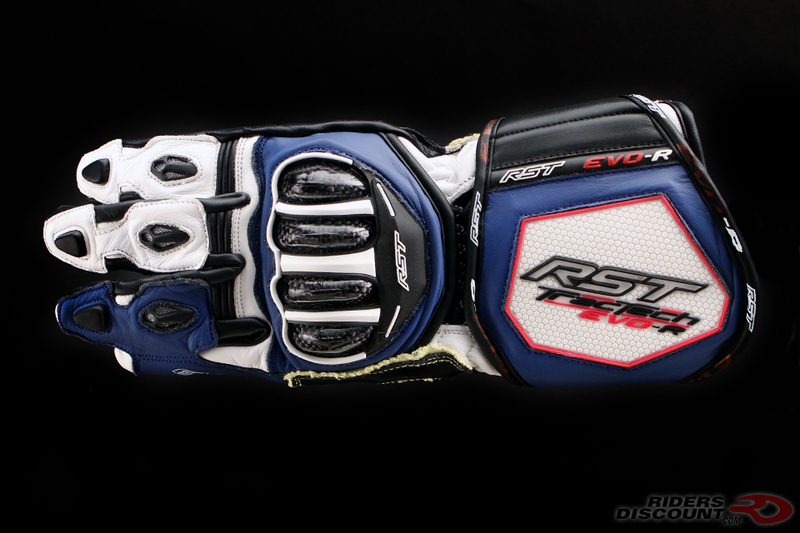 Used by champions such as Alex Lowes and Ian Hutchinson, the TracTech Evo R gloves are the top-of-the-line factory-racing gloves from RST. 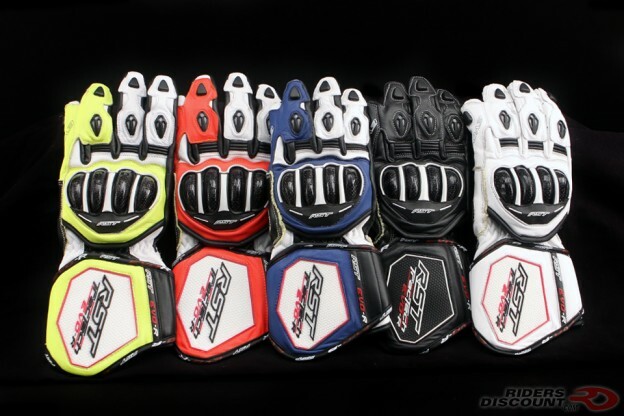 Constructed from a combination of full grain cow and kangaroo leather, these gloves offer a ton of protection on the track. 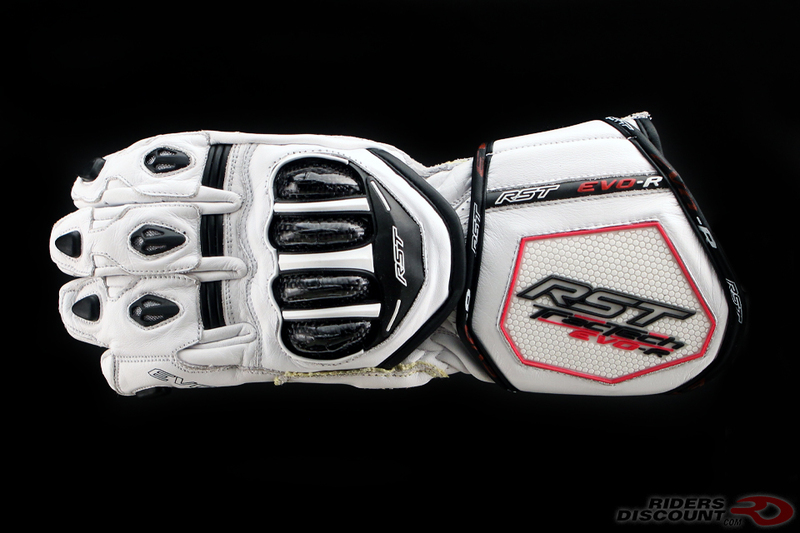 A step-up from the previous version, the TracTech Evo R gloves include Aramid lining across the back of the hand, as well as a layer between the palm pad and new TPU palm slider. 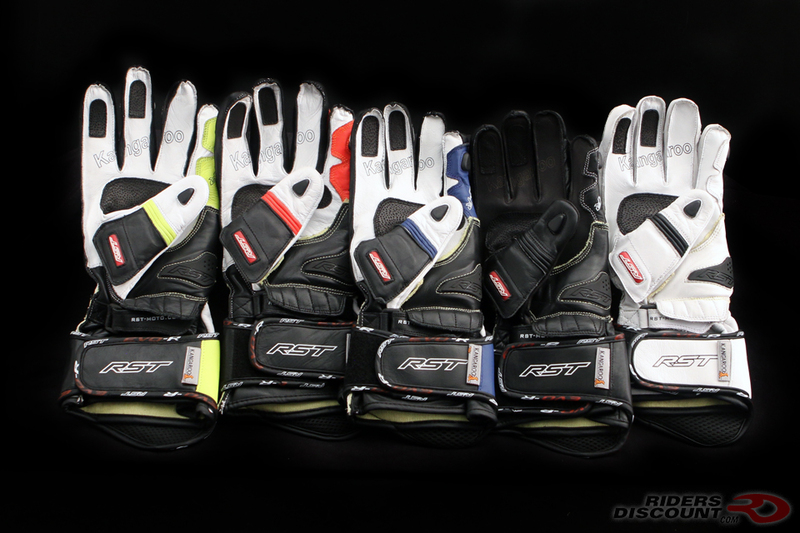 The knuckles are made from a mixture of carbon and Bio-Elastane for excellent strength. 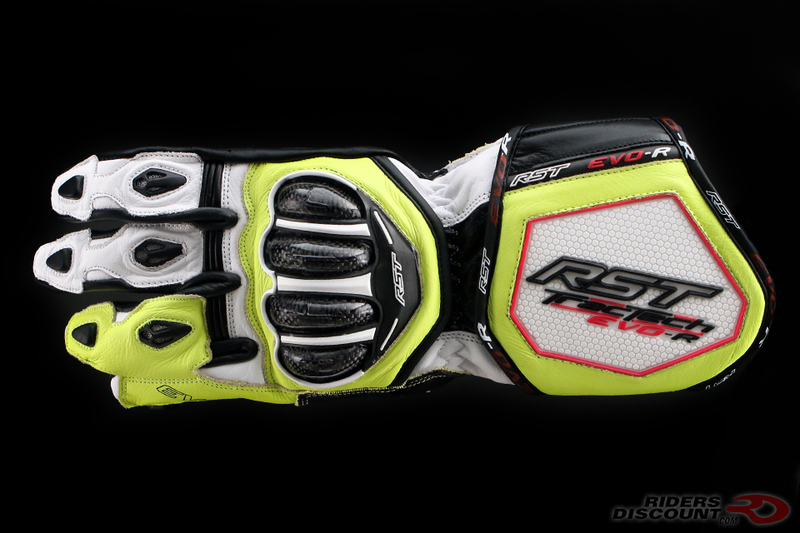 Ventilation ports on the fingers allow air to flow through, keeping your hands cool and dry. 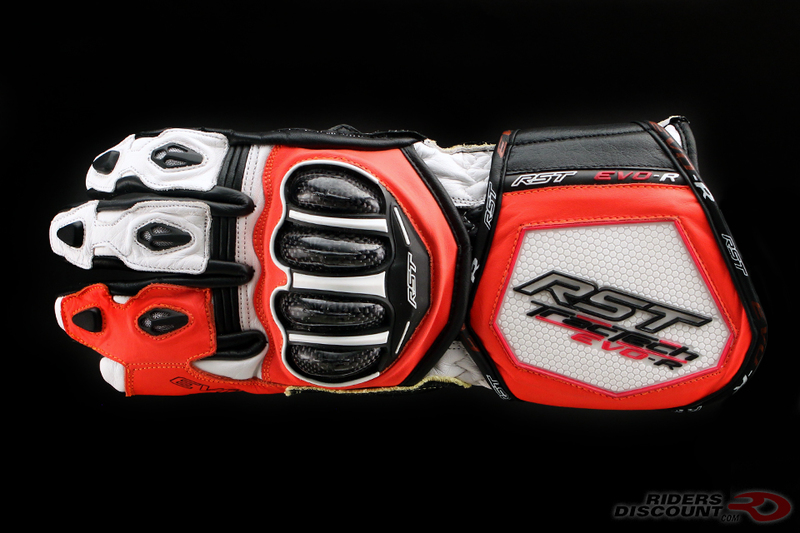 RST’s Conjoined Little Finger Protection helps to protect fingers from separation and contortion in a crash. 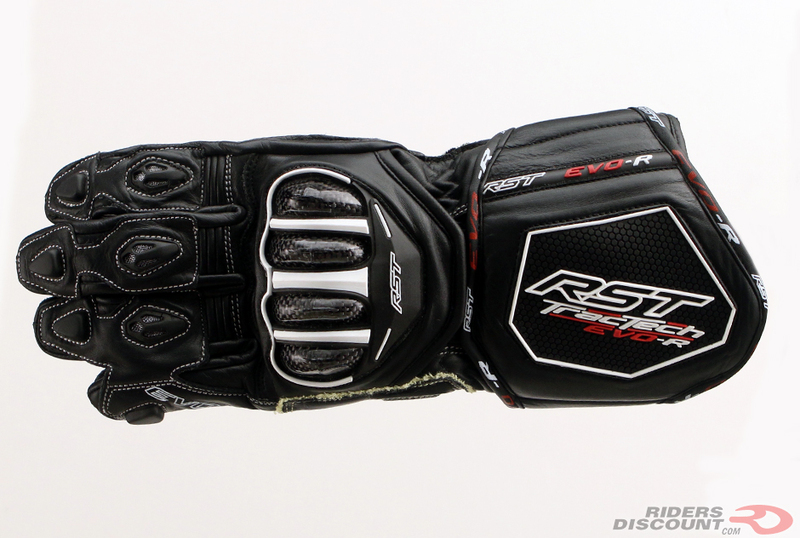 The RST TracTech Evo R Gloves have a double cuff and wrist closure.